SO I decided to make a drastic change with my hair. Being that I am not a hair dresser I know little about that department at all. 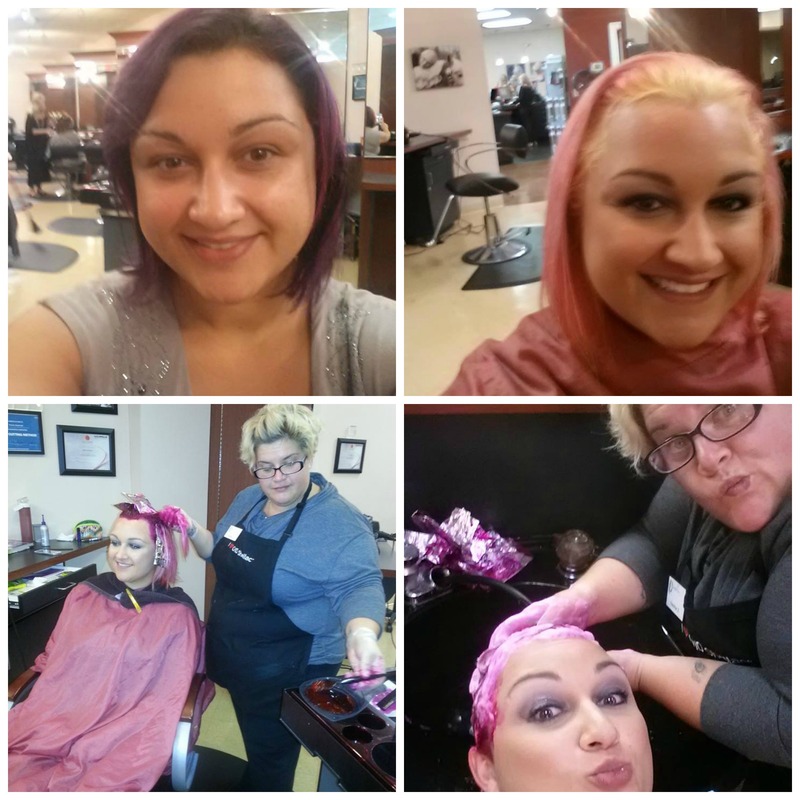 I was so amazed at what I learned during my transformation and I really want all my readers to know what should be happening when you sit down with your hair dresser. I can only touch on my own personal experiences in the past from getting my hair done at other salons. 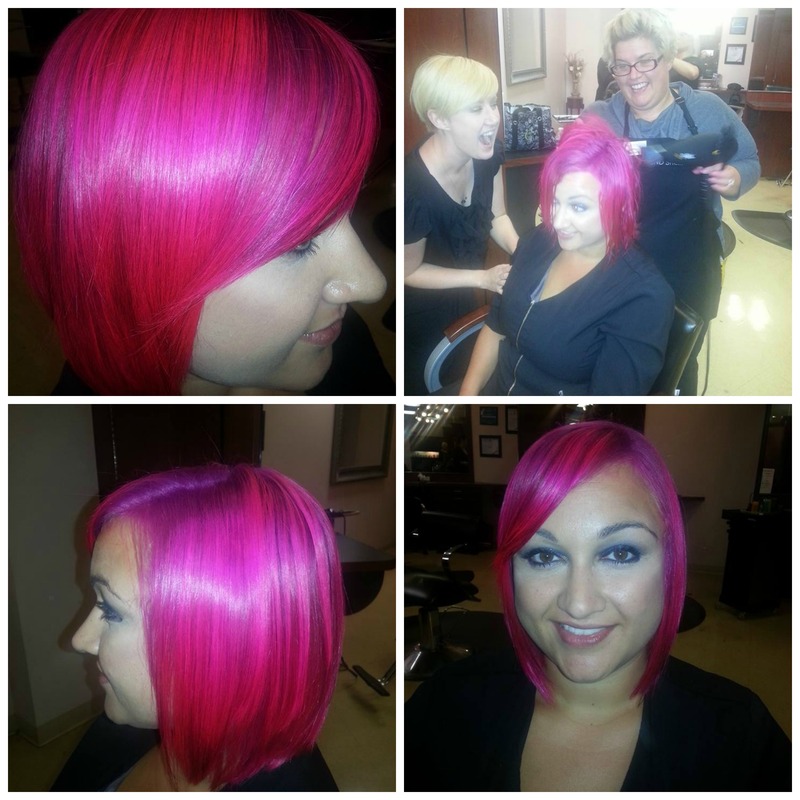 I am writing this blog from my own personal experience with Heather Slaybaugh a master colorist and educator at Jenniffer and company. First of all let me start by saying how nervous I was to go from dark hair to hot pink. I decided to do it for my sister fighting through breast cancer. I had my hair colored blonde one other time and it was not a good experience at all. The hair dresser didn’t listen to what I wanted, didn’t think about the integrity of my hair, was absent thru most of the service, and didn’t tell me how to take care of my hair. I was sitting under a dryer with a second round of bleach on my hair and it started smoking! I finally found her and she said “that was normal!” Well needless to say my hair was fried and I had to cut it all off. I explained to Heather what I was looking for and my experience in the past. In the consult she gave me different options on how to accomplish my desired look, pricing, timing it would take, and finally how to keep my hair in good condition. I knew confidently what I was going into and I was ready!!! She kept me comfortable and interacted with me during my 5 hour process. She explained what she was using and why. She chose to use a gentle decolorizer that gave me a max lift and left my hair silky soft! Because of my dark hair she chose to add a deeper color to my roots so as my hair grew out it wouldn’t look undone. She finally finished me off with an amazing color line called Elumen. It is the only permanent color line out there for bright colors! It left my hair shiny, calmed my frizz, and added thickness to my hair. She called it a bandage in a bottle and it really was! The time flew by and I was so excited for the final result! She turned me around and I was beyond amazed. She took her time and went above and beyond to give me what I wanted. She then explained the importance of home maintenance to keep the color vibrant and after all I did just invest time and money into this look! She explained what products to use, to wash it in cool water, and to always blow dry it to keep the color sealed in. Thank you Heather Slaybaugh for the amazing experience, education, and over all look! I am 3 weeks into my color and it looks as perfect as it did the first day and my hair still feels so soft! So next time you go to your hair dresser see if they do the same for you. If not then you aren’t getting the service and results you deserve!